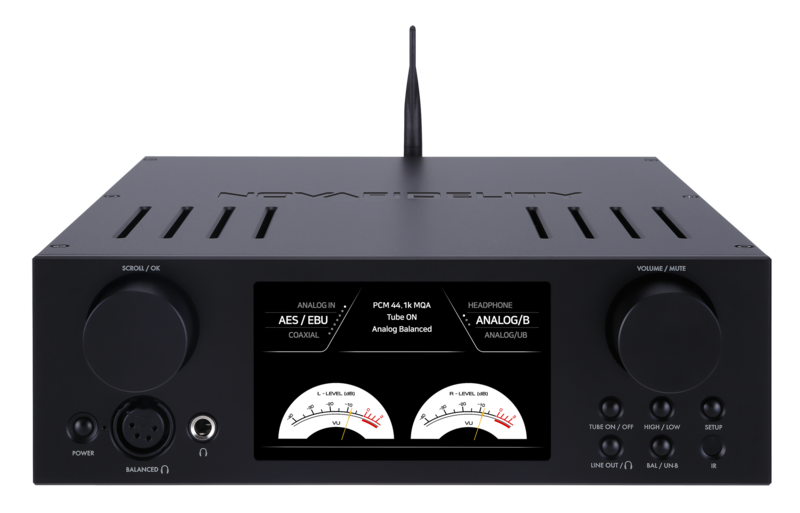 The HA500H is Novafidelity’s first dedicated hybrid headphone amplifier packed with an array of unique and versatile features. Powered by ECC82 as well as transistor op amps, the HA500H can be operated in both valve and solid-state mode depending on the listener’s preference or the type of musical material being enjoyed. 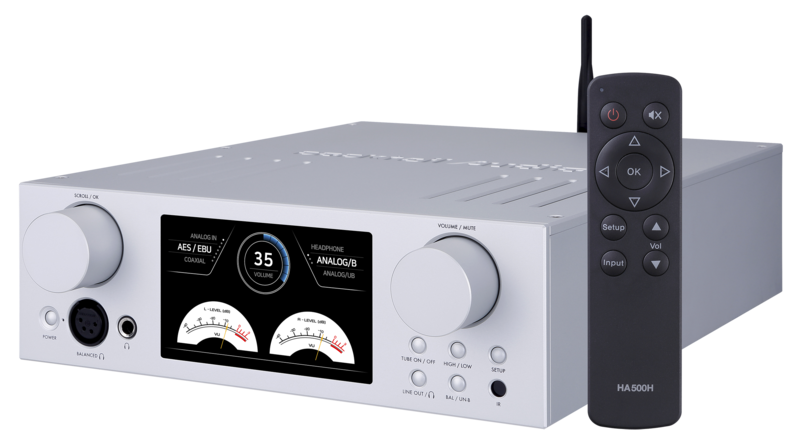 The HA500H features a unique dual Sabre DAC configuration making it capable of achieving a greatly increased dynamic range as well as a jump in sound quality. To support as many headphone models as possible, the HA500H comes equipped with a high/low impedance switch. This caters for a wide range of source and headphone models and can easily power and support any headphone rated from 16 all the way up to 600 ohms. 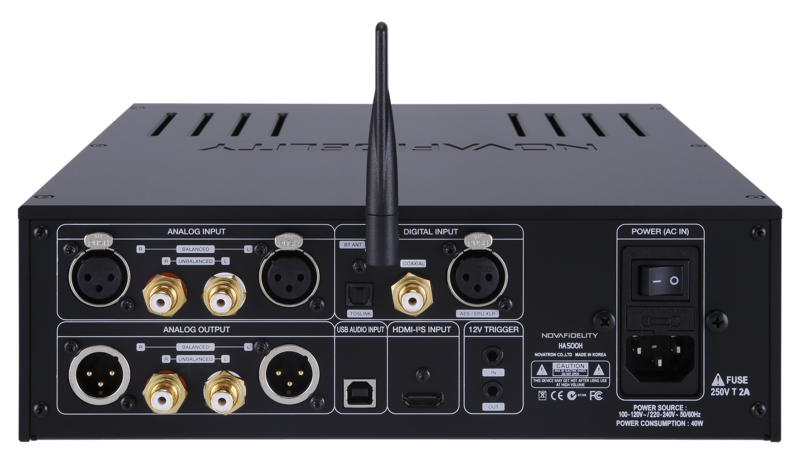 Keeping up with wireless trends, Bluetooth A2DP and AVRCP profiles are supported along with SBC (Subbabd codec), aptX, AAC and MP3 formats.